Julian Way was reading Classics at Oxford immersed in the literature and philosophy of Ancient Greece and Rome. He was also a strong chess player – a FIDE Master – and had authored a monograph on the Queen’s Gambit. Given his intellectual talents, he could legitimately have expected a glittering career but suddenly everything changed. He had a mental breakdown and ended up in hospital. He never returned to the dreaming spires to finish his degree. Instead he spent years in and out of mental institutions. His depression lasted fifteen years and it was only when he took control of his recovery and eschewed medical input that he felt he made significant strides. The standard treatment model for mental illness places emphasis on medication. Julian feared that this model takes responsibility away from the patient and can make them feel disempowered. Instead, he prefers developing life skills and strategies ranging from a common-sense self-assessment, with inevitable trial and error, to submitting to the more scientific Cognitive Behavioural Therapy. These skills and strategies are also pertinent on the chess board. 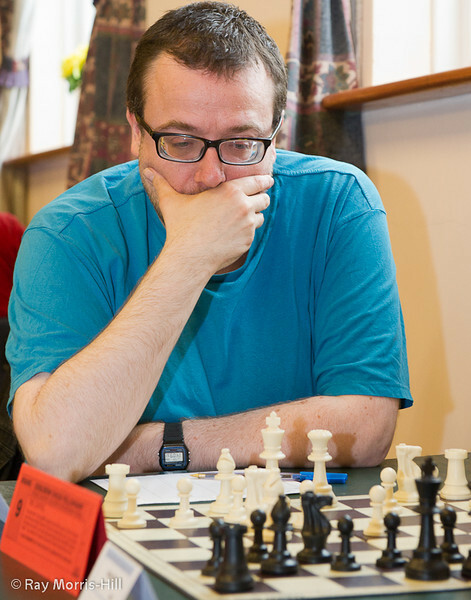 According to Julian, recovery from long-term mental health issues has strong parallels with chess. He cites planning, problem solving, self-awareness, emotional stamina, stubbornness and patience. Mental illness is by its very nature difficult to manage for the individual concerned. Julian advocates adopting a strategic approach. He counsels against impulsive, short-term measures as personal experience suggests these will probably not suffice. Playing chess can provide individuals with scenarios to hone a different kind of thinking. Being able to develop, harness and sharpen thinking skills is integral to chess and essential to recovery. The parallels are abundant and useful discussion may well yield further areas of overlap. Julian’s view is shared by many but remains controversial given current scientific practice. Julian is not dogmatic about his view that chess presents a microcosm of life itself – he is more concerned to create a dialogue and get a debate going. Over the last decade Julian has been rebuilding his life. He holds down a job as a social worker in the mental health field. He took a degree in creative writing at a local university and is now working on a Masters. He is writing a therapeutic autobiography and is playing chess happily once more. Julian will be attending the conference. I think I may have met Julian Way at the British Championships 2012. I have a similar story to Julian although not quite as prestigious. I completed a BSc(hons) 2.1 in Applied Physics and was improving fast as a player in achieving a second in the Cumbrian County Championship 1996 and a third in an under 175 tournament in the Preston Spectrum Congress also 1996, before having a breakdown while studying for an MSc in Chemistry at UMIST. My dream was to become a professional chess player but my form since then has been poor, making mistakes in good positions.